The AG3-HC Hardshell Acoustic Guitar Case from Yamaha is a protective case for the AC Series, FS Series, FSX Series, and LS Series acoustic guitar lines. It can be used to transport or store your acoustic guitar securely. It is built with an inside plush lining, metal clasp latches, and a durable handle for easy transport. 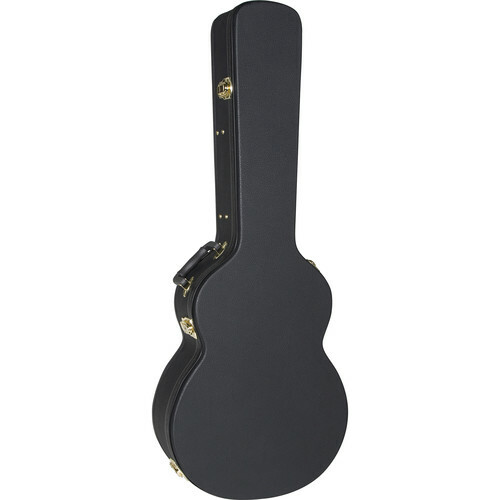 Box Dimensions (LxWxH) 42.5 x 17.0 x 7.0"
AG3-HC Hardshell Acoustic Guitar Case is rated 5.0 out of 5 by 1. Rated 5 out of 5 by Anonymous from Great Experience Product looks awesome and appears to be well built. It should protect the guitar very well. I also appreciate description as it names the models of guitars which the case should fit. No surprise, it fit the guitar great (Yamaha FSX700 series guitar).